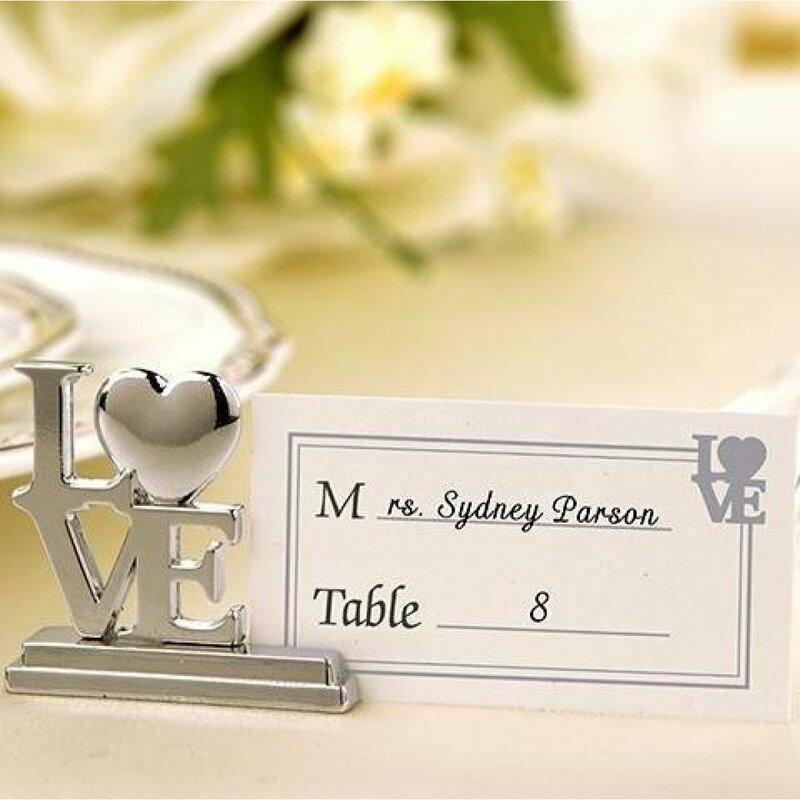 This pretty place card holder will be perfect to hold your guest names in place. Comes with its own specially designed place cards as well. Guests can replace their place cards with a small photo (instax photo size) of your special day. Place cards are included with each holder. Mesaures: Width 3.5 cm, Height 3 cm.